What sloths lack in speed, they often make up for in cuteness, and that is especially true among the babies of the species. 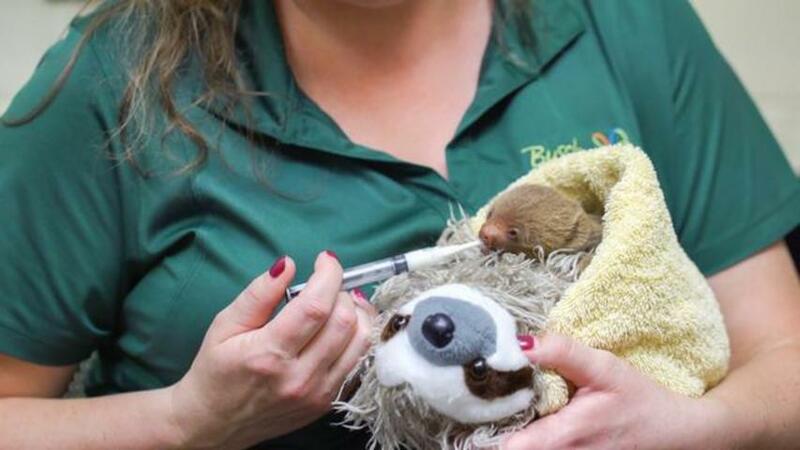 Busch Gardens Tampa Bay recently announced that two furry little bundles of joy joined its community. The first birth, occurring on March 24, was a Hoffman's two-toed sloth who came into the world weighing 6.6 ounces. Keepers noticed there were some problems with nursing, so they have been feeding the tiny animal with a syringe and keeping a 24-hour watch. About one week later, a tiny Linne's two-toed sloth arrived and is being well cared for by the mother. The public will be able to catch in-person glimpses of both babies in the near future. Three toed tree sloth in hand.